New students will need to visit the Admissions Information page to complete the simple, quick online admission application prior to enrolling in courses. 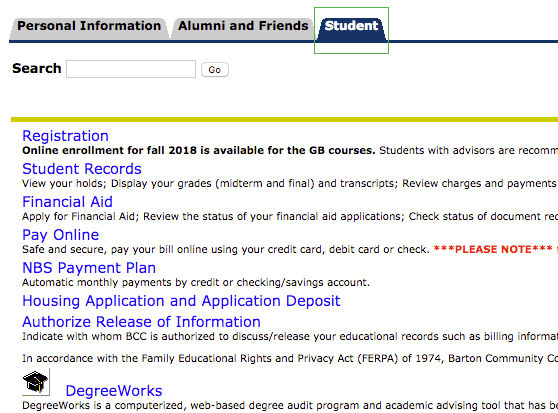 After you've been admitted to Barton, follow the easy steps below and then click on the Enroll Now button! Visit mybarton.bartonccc.edu to login to your MyBarton Portal account. Having trouble? Visit our IT Help webpage for login assistance. 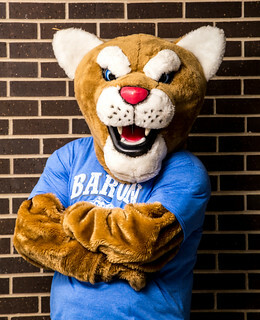 Click on Barton PAWS Account on the left-hand side of the Welcome screen, then click on the Student tab, and finally select Registration. First select your current term as sometimes there are multiple terms open for enrollment. 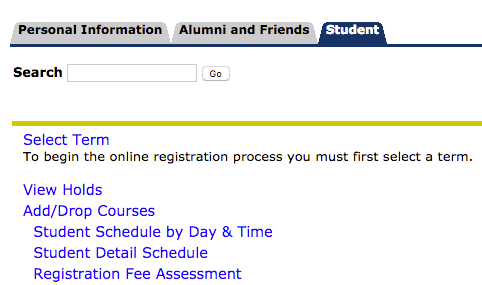 Then, click on Add/Drop Courses and select courses via Class Search. When you're finished adding courses, hit submit. If there’s an error, it will be notated in red. Otherwise, your list of courses will appear and you're officially enrolled! Click on the Registration Fee Assessment link to view your fees and balance. Please note that students who have a past due balance from a prior semester are subject to their current session of BARTonline courses being dropped. Visit the Billing and Payment webpage for more information and payment policies.